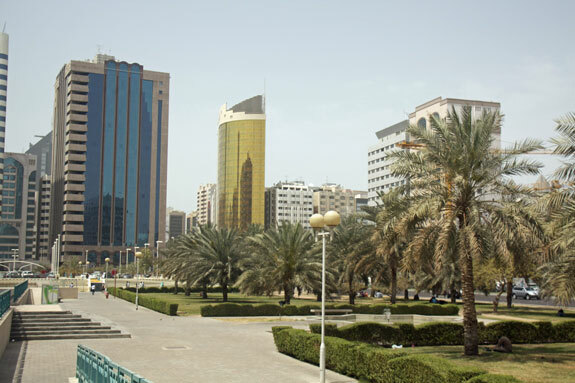 Several decades ago, Abu Dhabi had a tiny population and the beginnings of a whole new society based on its vast oil wealth. Today, Dubai gets most of the headlines, but its nearby neighbor in the United Arab Emirates is actually more pleasant in many ways. As the capital of the UAE, Abu Dhabi remains at least as important from a global standpoint, though it’s much smaller and more compact so it’s easier to navigate. Perhaps the best feature of both cities is that well over 90% of the populations are newly-arrived foreigners, so there’s a feeling that everyone has a similar fair chance. It’s striking to see how a city in this ancient part of the world can look when everything is brand new (or at least less than 40 years old), and specifically constructed for an international audience. The roads are wide and things tend to be far apart, so it’s not ideal for walking, but affordable and plentiful taxis solve that problem easily. The entire region here is heavily Muslim, so it would be easy to assume that there were heavy restrictions on many activities that those from other parts of the world find normal, but that’s really not the case at all. The government actively pursues people from all over the world to come live in the UAE, and they’ve made allowances for most things. One thing that is different from many other places is the restriction on alcohol consumption, but in reality every hotel in Abu Dhabi has one or more bars, most of which are open to expats or those staying elsewhere, and the drinks flow freely, if expensively. A beer at most bars will cost about US$6, with wine being a bit cheaper and cocktails costing a bit more, so prices are similar to what you might find in hotels in Paris. Residents can also get a card which allows them to purchase packaged alcohol at specific shops, so having a tipple at your home is cheaper still. The weather, of course, is a major draw, especially for Europeans during the winter months from December through February. The warm and dry days and nights bring in people from all over to enjoy world-class dining and shopping, not to mention the beaches and hotel pools. When visiting nearly any other part of the world, except perhaps the United States, Canada, Australia, or New Zealand, the visitor has to be cautious of which cuisines might be available and what they’d like to try as well as what they might want to skip. In Abu Dhabi, since almost everyone is very recently from somewhere else, you have some of the widest choices of cuisines available on the planet. In the shopping malls and hotels there are international restaurants serving excellent Italian, French, Japanese, and most other popular cuisines, and you’ve got an endless list of chain restaurants (for better or worse) so you’ll never have to worry about accidentally eating intestines or something else that may not be high on your list. The huge populations from India, Pakistan, Nepal, Bangladesh, and Sri Lanka mean that there are plenty of smaller independent restaurants specializing in those styles, and the populations from the Mediterranean countries keep the many Lebanese grill restaurants very busy. Even though this city has a reputation for being extremely rich, it’s actually home to hundreds of thousands of foreign laborers with modest incomes, so there are choices in all price ranges. Unfortunately there are no “cheap” hotels or hostels at this point, but the 3-star hotels in the city center can be great deals and are all of high standards. Drinking, as mentioned above, can be pricey, so those coming for a short visit might want to think about bringing in their duty-free allowance, but nearly everything else is surprisingly cheap. Taxis start at under US$1 for the first kilometer, and you can get across town for under US$4. Restaurant meals also come in all price ranges, so it’s almost as easy to find a filling US$3 Indian meal as it is to spend US$20 on an Italian meal in your hotel. Cuisines from Asia and the Middle East tend to be cheaper than those from Europe, and those on a budget really only need to get a block or two away from the hotels to find bargains if that’s important. Thanks for this. Gives me a new place to (want to) explore. Never knew this stuff about this place; you learn something new every day.